The "Modern" house was beginning to garner attention and capture the imagination of the middle class home buyer in the midst of the Great Depression in the early to mid-1930s. 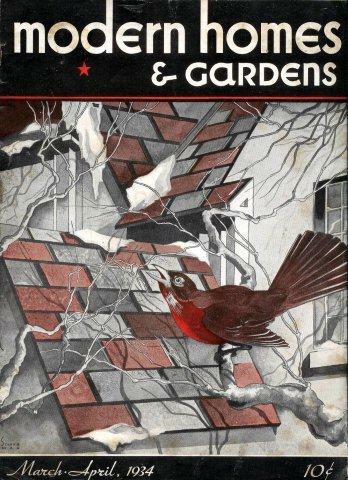 This is amply evidenced by the publication of mass-market magazines such as "Modern Homes & Gardens" published out of Chicago beginning in 1934 (see below) and the publication of Catherine Bauer's influential Modern Housing the same year. 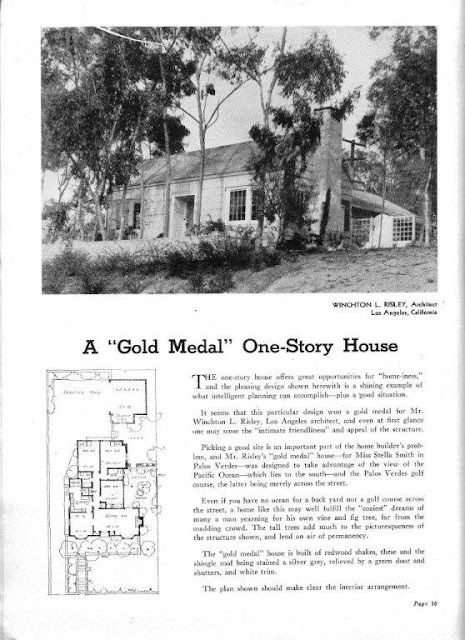 This particular issue featured Southern California architect Winchton L. Risley's "gold medal" house for Miss Stella Smith across the street from the Palos Verdes golf course (see below). The house had previously won the gold medal for the best single-story house built in the United States between 1926 and 1930 in the Homes in America Small House Architectural Competition for 1932.